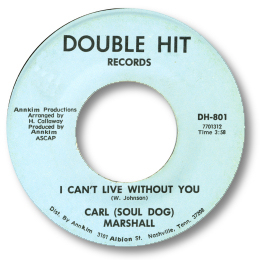 The two 45s that Carl Marshall cut in the 70s are highly regarded by the cognoscenti – and no wonder as they are class through and through. I Can’t Live Without You is one of the rarest of all deep soul 45s and it’s presence here will delight more than a few who are desperately looking for it. It is a masterpiece. The musicianship of the Muscle Shoals crew has seldom been better – check out the way they play with the tempo for example slowing things down as the song nears the chorus, or marvel at Barry Becket’s beautiful arpeggios and overdubbed church fills and rolling touches. The horns are superbly well arranged by Harrison Calloway and on top of all this Marshall simply blows the song away with his grit and intensity. Love his doubled tracked wailing as well. In comparison to this even a performance as good as the one he gives on Your Woman Really Turns Me On slides into the gloom – but checking out the song fresh on its own and you can hear that he really could go for it. Obviously the production values are rather different at the end of the 70s from earlier in the decade but the “burping” bass guitar doesn’t really intrude and the lead guitar is comparably well throttled back. Real bonuses are the waiting sax break and the fine background harmonies. On virtually any other page on this website this Nashville cut would be given pride of place - but the Double Hit release really did raise the qulaity bar! I have this fantasy that somebody will find a treasure trove of other Marshall cuts from the 70s in a tape vault somewhere. 1. The flip to the Double Hit release is “Hey Baby” by Wayne Armstrong. 2. There is a version of “I Can’t Live Without You” utilising the same wonderful backing track sung by Chet Davenport. This was apparently cut for Johnny Vincent’s Ace label. It can be found on the Westside UK CD “Curiosities” making it rather cheaper to purchase than the 45. But the vocal isn’t so good! 3. Carl is now billing himself as the Grown Folks Party King and making music from his New Orleans base. 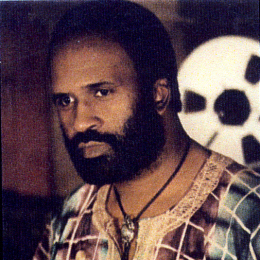 We wish him luck with his career – but sadly his newer recordings are way outside the scope and interest of this website.